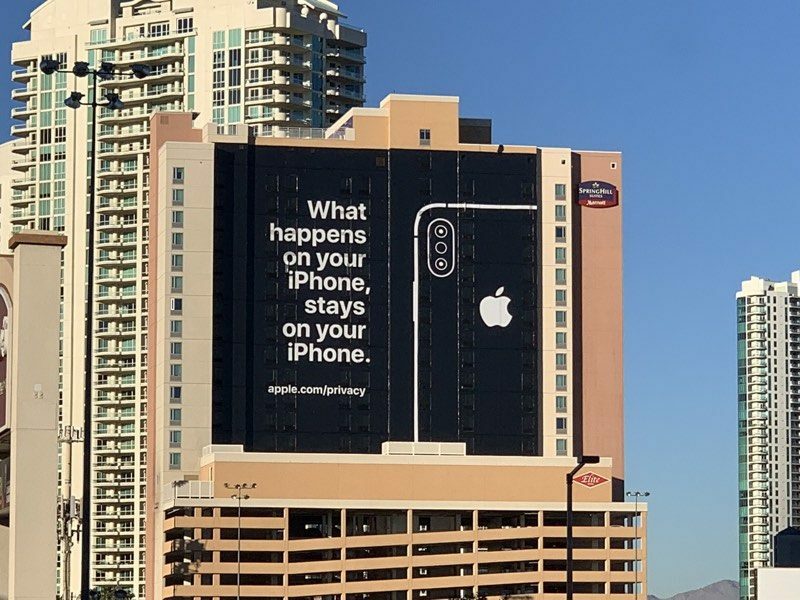 Apple has been holding the moral high ground as far as privacy of tech products goes — as Google and Facebook had grappled with privacy issues, Apple had proudly proclaimed on a billboard at CES that “what happens on your iPhone stays on your iPhone.” But it didn’t account for the fact that other people could be listening in. In a major bug that went viral on social media today, Apple users have discovered that they were able to eavesdrop on anyone using FaceTime by simply calling them. The bug allowed users to call anyone with FaceTime, and immediately hear the audio coming from their phone, even before the person on the other end had accepted or rejected the incoming call. The bug had gone viral, before Apple stepped in and disabled Group FaceTime temporarily for all users. The bug was remarkably simple to exploit. All users had to do to listen in on the audio around anyone’s phone was to start a FaceTime call with them. While the call was dialling, they had to swipe up from the bottom of the screen and tap “Add person.” Users then had to add their own phone number in the Add Person screen. This immediately started a FaceTime call including themselves and the audio of the person they’d originally called, even if they hadn’t accepted the call. This had serious privacy implications — the bug meant that anyone could hypothetically listen in to the audio around the phone of anyone they could call on FaceTime. The bug, thankfully, didn’t extend to all iOS versions — it only affected any pair of devices running iOS 12.1 or later. But the bug went viral on social media, with users early demonstrating how it would work. And the jokes and memes began soon enough. Apple, for its part, appears to have reacted quickly by disabling Group calls on FaceTime for all users, but the damage might have been done. Apple had been positioning itself as a company that valued users’ privacy, unlike competitors like Google and Facebook. With an Apple product having compromised users’ privacy in the most egregious way possible by letting strangers snoop on them through their phones, it might just go on to show that in the big bad world of technology, privacy might just be an illusion.